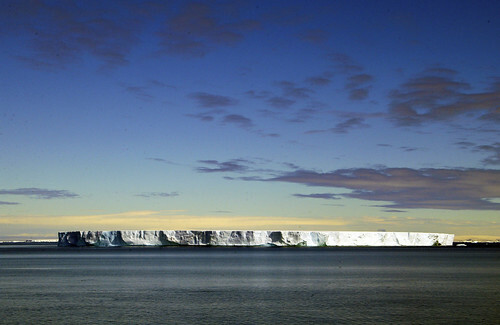 An ice shelf is a thick platform of ice that forms at the grounding line of a glacier, where the glacier meets the coastline. 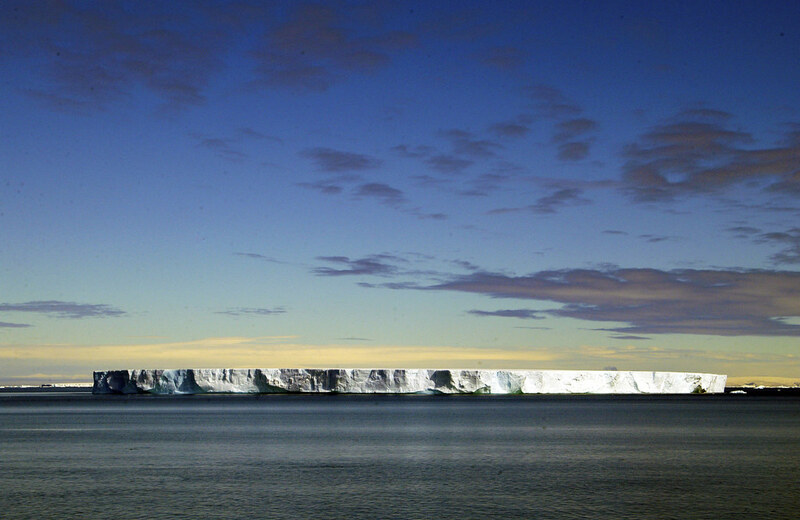 Most freshwater on earth is bound in the huge ice shield covering almost entire Antarctica and extending in shelf-ice to the sea. Increasing melt of Antarctic ice would lead to significant sea level rise.